Boosted holiday conversions (between Thanksgiving & New Year’s) on mobile by 27.27%. Resulted in our leading a wholesale redesign of both the cart and product pages, allowing customers to order faster and easier. Increased AOV by 9.55% over the same period the prior year. 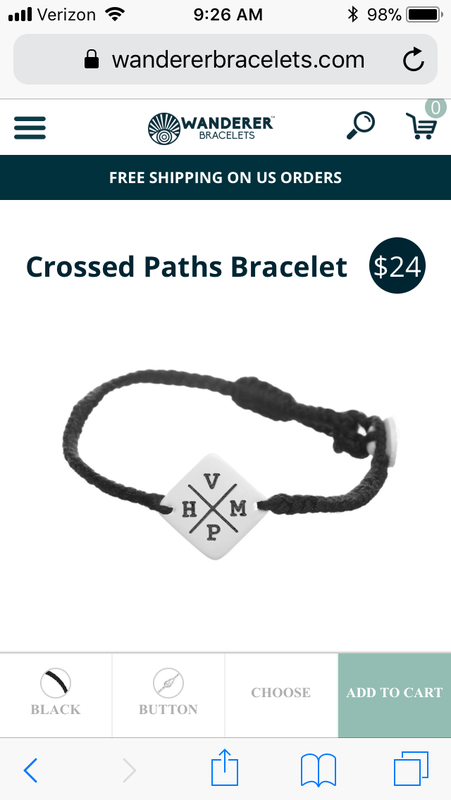 With a strong Instagram presence, mobile comprises 82% of Wanderer Bracelets’ traffic. Yet their conversion rate on mobile came in at less than half desktop. This showed a tremendous opportunity for further optimization – because no online store should accept a mobile conversion rate that low. Meanwhile, most of Wanderer’s inbound traffic goes to its two customizable bracelets – yet the configurators for each bracelet were designed with desktop browsers in mind. The answer: a mobile-first redesign. With our analytical research in tow, we put together a set of detailed, annotated mobile wireframes for Wanderer’s product pages. Then, we worked with Wanderer’s in-house designer to create high-fidelity mockups. While this was happening, we helped Wanderer retain a team of skilled developers to put our recommendations into practice. When we first showed our wireframes for the redesigned product page (which is the final screenshot you see above), the team called it “a dream” for them. With Sellry’s team in tow, we had it built and launched in 6 weeks. This probably doesn’t sound like a typical A/B testing engagement. We ran tests the entire time this happened, and we’ve been running new rounds of tests ever since. The consequence: holiday 2017 was the best period for Wanderer ever, not only on revenue but on conversion rate. Conversions overall increased by 18.56%, and among mobile traffic, Wanderer’s conversion rate increased by 27.27%. Are your mobile conversions lagging? You should probably start focusing your optimizations on mobile. Mobile traffic is exponentially increasing, yet ecommerce broadly fails to see commensurate gains in revenue from mobile. Mobile is hard, but we can help. If you need a clear, coherent mobile strategy, and you sell in enough volume to A/B test effectively, reach out and apply for Draft Revise today.